If you have been wondering what the Patchwork Community Bible Study is like, now is your chance. We only have two more sessions before the end of the year. The Study continues on Saturday morning, October 14, 2017, 9:00-11:00 AM at the Christian Life Center, 200 Welch St. Palacios, TX. This month we are talking about God’s promise to love us without hesitation. Don’t miss this opportunity to learn more about the character of God and to show your gratitude for His blessings. You will leave with your soul nourished and wanting more. All women who are on journeys of faith or those who want to know more about conquering fears, anxiety and stress are invited. 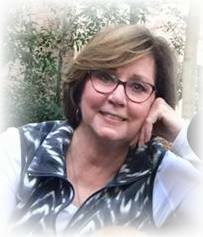 Debby Webb, will teach the nondenominational study one Saturday morning each month. Before Debby and her husband, Bruce Webb, moved to Palacios, Debby taught a Community Bible study in Nacogdoches, TX for over 15 years. The Patchwork community is very pleased to have this opportunity available for Palacios women.